Transform your Dairy Farm with lean thinking. Available in bookstores and online through most booksellers. The Lean method is revolutionising farming globally with its proven solution for reducing waste, improving productivity and sustaining profits. 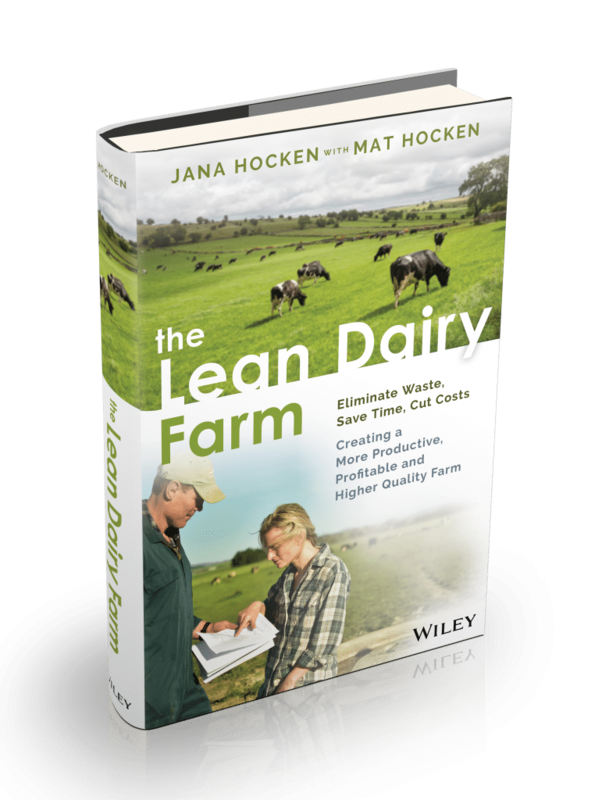 In The Lean Dairy Farm, dairy farmer and Lean consultant Jana Hocken explains why this approach is essential to every dairy farm. Using her own family’s farm as a case study, she introduces practical tools that every farmer can apply and shows you how to create a farm culture that supports Lean thinking. develop an engaged, high performing team. If you want a more efficient, pro­fitable and more robust dairy farm, The Lean Dairy Farm is for you. Jana is a Lean consultant with more than 17 years’ experience working for Toyota and in Lean consulting. She is the founder of consulting company Improve8. Jana has helped dozens of companies around the world use Lean thinking to help them improve their businesses. Since 2013 she has also been involved in supporting her husband’s 1000-head dairy farm in New Zealand, introducing Lean thinking to the business. She developed and rolled out the successful LeanFarm training program across New Zealand in 2017. To find out more about Improve8 or Lean Farming, or to purchase any of the templates discussed in this book, visit www.improve8.com or www.leanfarm.nz. Mat returned to his 1,000 head family dairy farm in New Zealand in 2013, after spending more than 10 years living and working overseas in international policy. He is a 4th generation farmer and has overseen the continued expansion of the farm. In 2017 he was a Nuffield scholar and travelled to 14 countries researching innovation in agriculture and food. Mat has embraced Lean thinking on the farm and has seen the benefits Lean can bring to the team and business first-hand.